Are the cookies certified Organic? No; however, they are made from only the finest organic and natural ingredients available. What is Isolate Whey Protein? When milk is turned into cheese, whey protein is skimmed out. Whey protein provides the highest concentration of branched-chain amino acids of all protein sources, which helps promote muscle tissue growth and retention. Is Agave Nectar a real sweetener or artificial? Agave nectar is a real sugar, not an artificial or non-nutritive sweetener. It has many of the same properties as sugar but one very important difference: the glycemic index for agave is substantially lower than that of sugar. Why is it important that agave nectar has a lower glycemic index number? Sugar has an average glycemic index in the high 60s, while agave nectar is under 30. Foods with a gylcemic index number of less than 55 are considered to be low glycemic foods. The lower a food's glycemic number, the less likely it is to trigger the body to store fat. Furthermore, since the glycemic index number of agave is lower than refined sugars, agave's carbohydrates are less likely to raise the blood sugar quickly, making agave a safer sweetener for diabetics when consumed moderation. Other advantages of Agave Nectar? 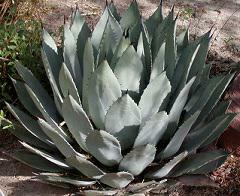 Agave is not only used as a sweetener; it has some healing properties as well. It has been used for centuries in wound dressing to prevent bacteria from developing and staph infections. It is also effective in fighting intestinal bacteria. How long do the cookies stay fresh where there are no added preservatives? Five to seven (5-7) days, if not refrigerated. If refrigeratored, 10-14 days. The cookies also freeze very well (ie. place them in the freezer and just take one out each day). Shipping is through USPS Priority Express Mail. freshness. Overnight orders can be arranged. Will you deliver the cookies? Shipping out of the local area. Yes; major credit cards are accepted.